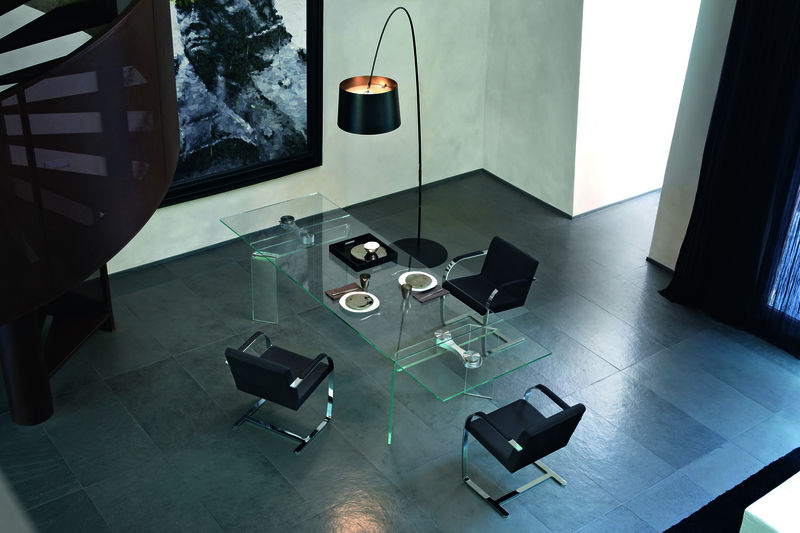 Ray Plus is an extendable dining table with rectangular 15 mm-thick tempered glass top, and an independent extension in 12 mm-thick tempered glass. 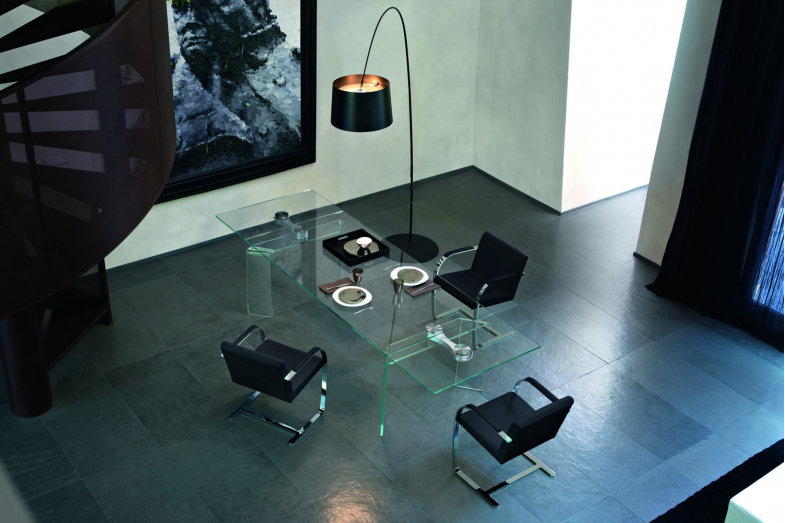 The detachable legs are in 20 mm-thick curved glass, placed just under the top edge. The rotating mechanism is in aluminium, with gloss finishing and stainless steel plates. Also available in extralight glass.